We promised you that we had 2 more holiday movie inspired cocktails. Well we’re here to deliver. This time we’re sharing a recipe inspired by another one of our favorite movies, National Lampoon’s Christmas Vacation. 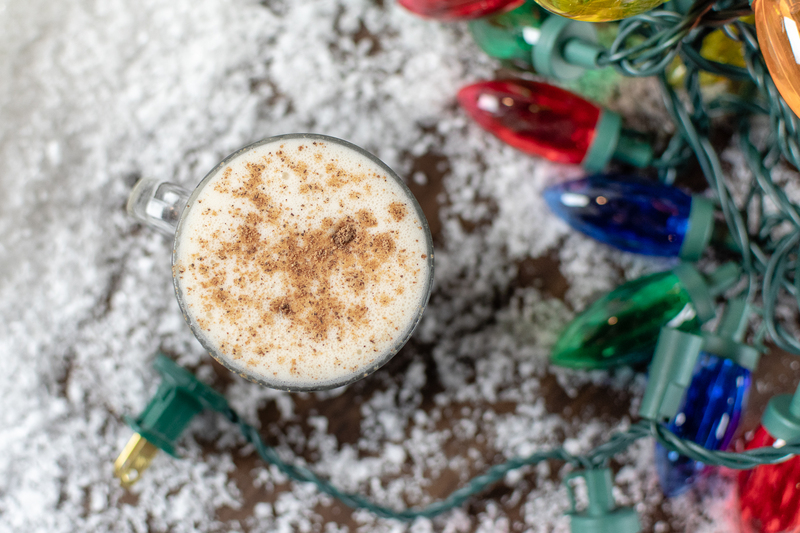 Uncle Eddie’s Egg Nog is the perfect cocktail to serve your family or to escape them! In National Lampoon’s Christmas Vacation, “as the holidays approach, Clark Griswold (Chevy Chase) wants to have a perfect family Christmas, so he pesters his wife, Ellen (Beverly D’Angelo), and children, as he tries to make sure everything is in line, including the tree and house decorations. However, things go awry quickly. The Griswold’s hick cousin, Eddie (Randy Quaid), and his family show up unplanned and start living in their camper on the Griswold property. Even worse, Clark’s employers renege on the holiday bonus he needs”. The inspiration for Cousin Eddie’s Egg Nog comes from the scene in which Clark and Cousin Eddie talk man to man while enjoying some egg nog. The only thing missing here is the Wally the Moose Egg Nog glasses. 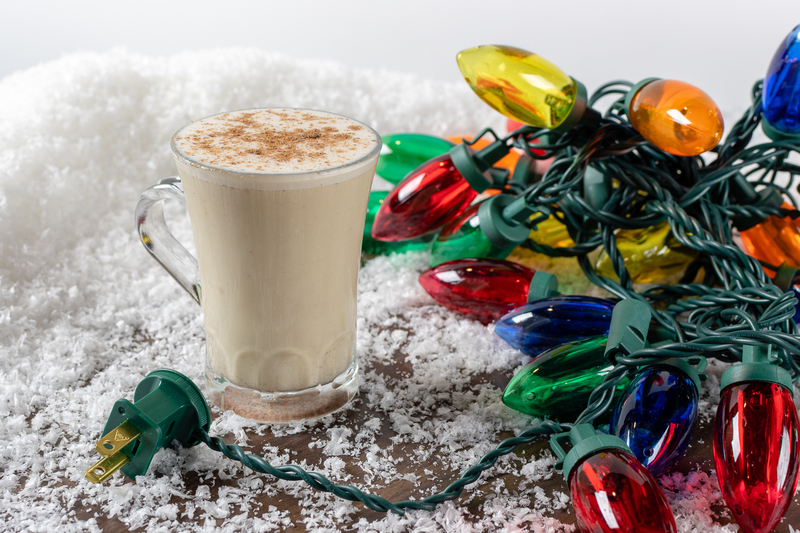 While this isn’t a traditional recipe for egg nog, it is definitely a delicious replacement that feels a bit more grown up. 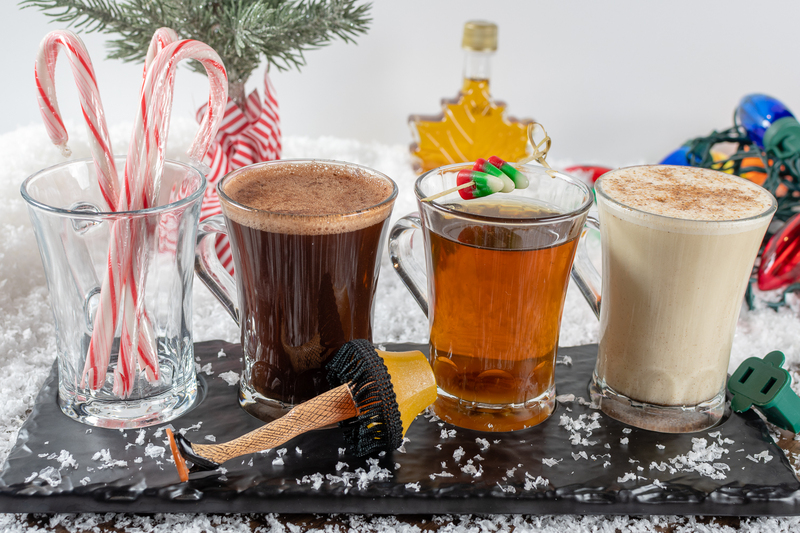 Don’t feel like playing home bartender and making Cousin Eddie’s Egg Nog at home? This cocktail along with Buddy’s Balanced Breakfast and 1 other are now available at Granada Bar and Grill. Stay tuned because we will be sharing the last cocktail recipe tomorrow! The Geeks have teamed up with Granada Bar and Grill's Food and Beverage Director Noah Momyer to create cocktails inspired by holiday classics. The second cocktail is Cousin Eddie's Egg Nog inspired by National Lampoon's Christmas Vacation! Garnish with fresh grated nutmeg. *The Geeks were not compensated or given any comped items to facilitate this write-up; Opinions are wholly our own. The recipe was shared with permission. All opinions are wholly our own. View our Disclosure Policy for more info.